TAY Time Chat: Crazy weather out there, eh? THANKS DAN... ERM I MEAN DAM! Hello everyone! Welcome to the underrated and often forgotten (by me) TAY Time Chat! How's everyone's Wednesday going so far? You know... it's been a slow news day today, and when things go slow, what better way to break the ice with some small talk... bad news is... I'm not good at small talk =/ I rather have moments of silence rather than trying to make conversation out of mundane subjects. 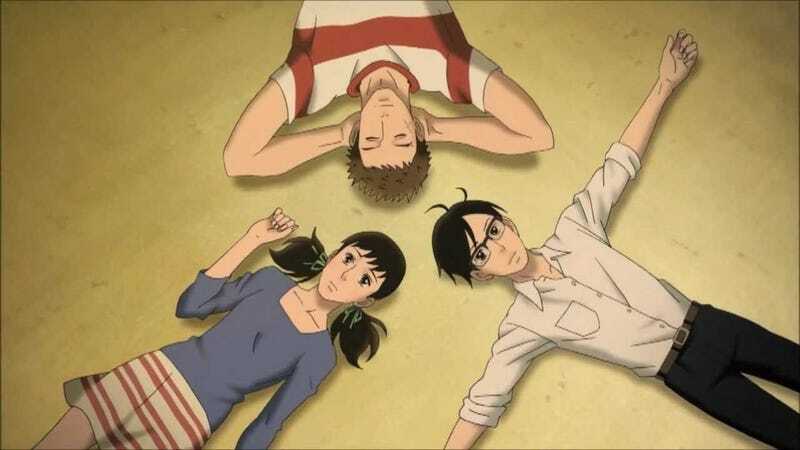 On an unrelated note I started watching Kids on the Slope last night, and finished it this morning... and well it's simply beautiful, from the sober art and animation, to the lovable characters, it's indeed one of the best shows I've watched in the last few months. We need to have one of these over here! Well! That's it from me! I gotta brainstorm and think what to prepare for dinner, but don't forget there's always the Open Forum hosted by the one and only Astro! Talking about fabulous there's Fyst in the Off - TAY pic for today in TAY Classic,Mr. Irish Flowers will be back tomorrow with a super shuffle (or maybe not). Ohh and don't forget our amazing Ultra Hyper Turbo TAY Secret Santa Throwdown 2013 Thanks GBD and Zarnyx for organizing it ^.^ I still need to make my list!